Zdenko Domančić has created and developed the Zdenko Domančić Method of Bioenergy over the last 25 to 30 years. Master Zdenko Domačić has always wanted to pass the knowledge from the field of his method on. He started with his training programmes two decades ago. His scholars come from all over the world. The training is grounded on a wish to make the performance of his method close to all people who are interested in the method. The documentary film entitled “Think About It” was researched by the Cinematographer, Zoran Hochstätter and Stephanie Cote, to produce a documentary about alternative approaches to healthcare and healing with bioenergy. 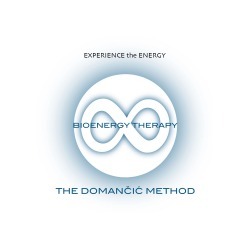 As research for the film, Zoran learned the Zdenko Domačić Method of Bioenergy and became a therapist himself (www.healingbioenergy.com). Making the film changed his life path and Zoran became a natural choice for Zdenko as ambassador, teacher and spokesperson for the Domančić Method in the English speaking parts of the world. In today’s fast moving culture we all find ourselves experiencing endless demands at work, home and in our relationships. As many of these pressures and stresses come from an already hectic lifestyle, often we can’t (or don’t) find the time required to deal with them and they go untreated. This can cause long-term damage to our health and mental well-being. We are made up of cells that emit an electrical impulse. Each cell therefore has a surrounding magnetic field. The body is not simply a physical mass but also generates a large amount of electrical activity from which a bio-magnetic field emanates. This field, or aura, has been photographed since the fifties and its existence has been recognised by World Health Organisation. It has been scientifically established that the body has remarkable regenerative powers. Therefore, if the body can regenerate itself to the degree that it can replace up to 98% of itself in less than a year then there must be some factor that prevents or blocks our bodies from achieving this when “diseased”. So if we can remove whatever is blocking us from utilising our natural healing energy, then the body’s own healing processes can operate and bring the body back into balance.